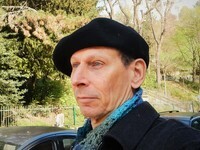 Richard Zimler was born in Roslyn Heights, a suburb of New York, in 1956. After earning a bachelor's degree in comparative religion from Duke University (1977) and a master's degree in journalism from Stanford University (1982), he worked for eight years as a journalist, mainly in the San Francisco Bay area. In 1990, he moved to Porto, Portugal, where he taught journalism for sixteen years, first at the College of Journalism and later at the University of Porto. In 2017, the city of Porto awarded Zimler its highest distinction, the Medal of Honor. At the ceremony, Porto's mayor described the novelist as "A citizen of Porto who was born far away, who makes the city greater and grander... Zimler projects Porto out into the world and brings th Richard Zimler was born in Roslyn Heights, a suburb of New York, in 1956. After earning a bachelor's degree in comparative religion from Duke University (1977) and a master's degree in journalism from Stanford University (1982), he worked for eight years as a journalist, mainly in the San Francisco Bay area. In 1990, he moved to Porto, Portugal, where he taught journalism for sixteen years, first at the College of Journalism and later at the University of Porto. In 2017, the city of Porto awarded Zimler its highest distinction, the Medal of Honor. At the ceremony, Porto's mayor described the novelist as "A citizen of Porto who was born far away, who makes the city greater and grander... Zimler projects Porto out into the world and brings the rest of the world to us." To ask Richard Zimler questions, please sign up. WONDERFUL review of The Gospel According to Lazarus! Richard made a comment on WONDERFUL review of The Gospel According to Lazarus!
" The Gospel According to Lazarus "
"Absolutamente maravilhoso, penso que dos melhores de Richard Zimler. " "Adorei este livro. 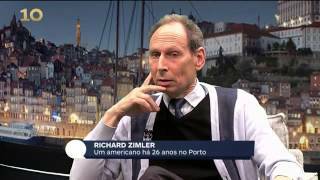 De todos os que li de zimler , sem dúvida foi o que gostei mais "
"Gosto muito de ler Richard Zimler, mais uma vez conseguiu surpreender-me. Os sentimentos estão sempre à flor dos livros do Richard Zimler. Aforo!" Richard made a comment on Book Launch in London on April 11!
" P.S. It should reach South Africa in mid-April, as well. I will send you the ARC (Advanced Reading Copy). "